1st- Give us 2-3 themes for the art on your pants. 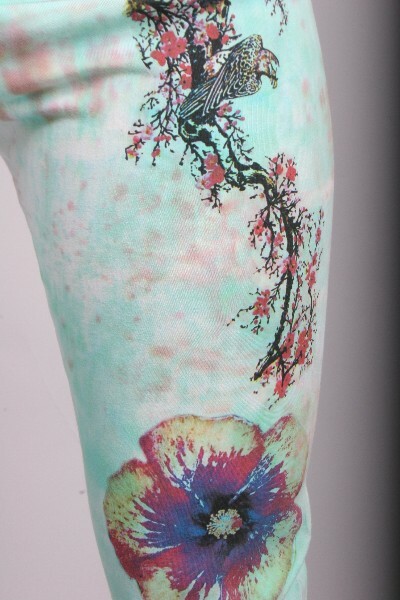 Don't worry, what ever you mention we will use as inspiration to create some amazing art for your pants. Previous customer theme examples include, "om", "dogs", "peace", "flowers", "Picasso", "graffiti". Anything is game! You can even upload your own images if you like. 2nd- Tell us 1-4 colors you would love to see your pants in. 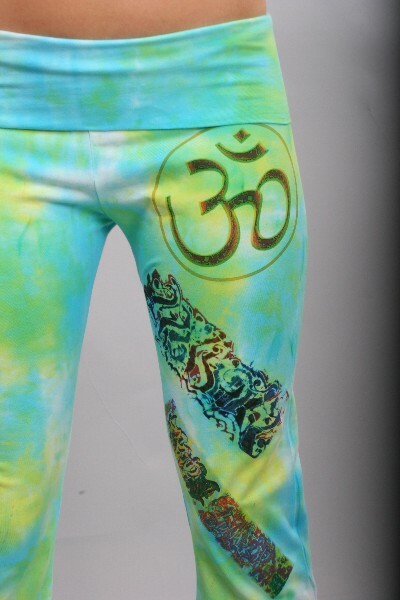 Again, don't worry, we are experts, your pants are hand painted and dyed in the hues that you love! 3rd- Sit back and enjoy life and when your one of a kind yoga pants to arrive, slip them on, snap a picture, send it to: [email protected] , and get an instant 30% off code for your next order at COUTURETEE.COM. OMG!! They are Exactly what I asked for! The colors and designs totally match my theme (Elizabeth I) and they are super comfy! I cant wait to wear them in yoga class tomorrow. Thanks Tristan! If you dig custom stuff and tons of compliments...pull the trigger, you will be happy!